Colour in The Very Hungry Caterpillar! Download our free activity pack to bring the Very Hungry Caterpillar to life. The very hungry caterpillar transforms into a beautiful butterfly! Use your imagination to colour this butterfly. Connect the dots to see what the very hungry caterpillar looks like when he has eaten everything in sight! Help the caterpillar eat his way to his coccoon! Create a beautiful sunflower to celebrate Very Hungry Caterpillar Day. 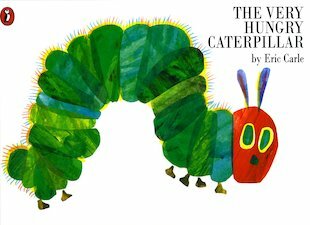 Can you find all of the very hungry caterpillar’s favourite words? Charming tissue-paper pictures along with a good concept for early learning children. One of the first books i remember, i love this book, with colourful pop outs this book is great for young readers alike. If you haven’t yet read this, you haven’t lived a real childhood.